Working together to raise funds for the Brain Tumour Research Centre of Excellence at our University, we're enabling crucial research to take place here in Plymouth. David Briggs from Raiders proudly placed a tile on the Wall of Hope at our John Bull Building recognising their fundraising achievements in support of our world-class research. In March 2016, Plymouth Raiders supported the charity by having a bucket collection at their home game v Cheshire Phoenix, and players even sported their pink shirts during warm-up, with funds collected by staff from Santander and University of Plymouth on the day. Their fantastic support helped raise nearly £7,000 for the University of Plymouth Brain Tumour Research Centre of Excellence to continue working towards a cure for brain tumours, the biggest cancer killer of people under 40. "Throughout my time here at University of Plymouth, I was aware that I was always representing the University in all my activities as a chosen scholar and it gave me huge pride." Ben Riddle, City College Plymouth student, discovered basketball at the age of 11 and never looked back. You don’t have to be an avid sports fan to get involved with University of Plymouth's sporting partners, just keen to develop your employability skills and do something different from your day-to-day routine. Our partnership with the Raiders helped prepare our UPSU Basketball Club mens and ladies teams to climb higher up the BUCS (British University and College Sport) rankings. During our three year partnership with Plymouth Raiders, they were provided with coaching staff, additional training times, and players who were part of the Raiders scholarship programme. 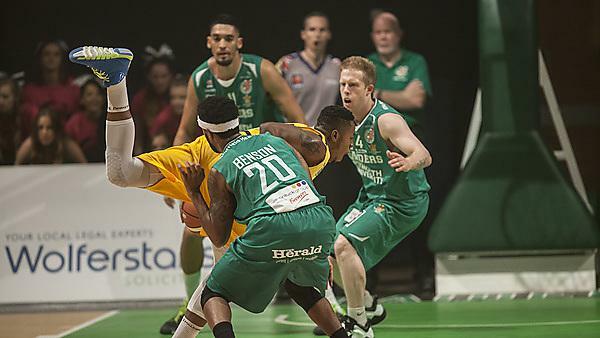 Our students worked on live research and consultancy projects with the Plymouth Raiders on projects led through Futures Entrepreneurship Centre in the Business School including developing a strategy to improve ticket sales to fellow students. Our optometry students gained valuable experience that not only boosted their confidence but supported the Plymouth Raiders players with advanced eye care. “The Raiders visits to the Centre for Eyecare Excellence filled the students with excitement and enthusiasm - they enjoyed meeting the high profile players and practising their skills on professional sportsmen." Linda Cutler, Practice Manager of the Centre for Eyecare Excellence.